Meet the new love of my life. As with any infatuation, I can't get enough of it. I want to wake up to it in the morning and savor it all day long. Alas, I am a bake-o-phobe, and my affair with white whole wheat flour might be doomed. So I'd like to fix you up with my new love. Please, take my inamorata out on a date, get to know each other, commit to a long-term relationship. You won't be sorry. 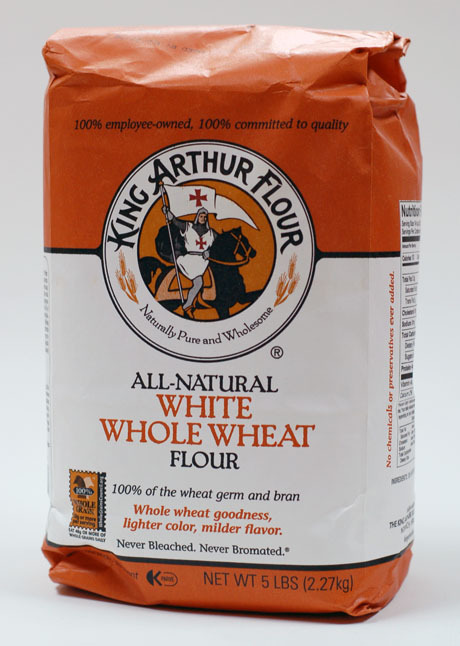 King Arthur Flour, the Vermont uber-resource for all things baking, wasn't sorry when, in the 1990s, they received a sample of a new strain of whole wheat flour from a consortium of farmers who had been working with Kansas State University's breeding program. This new flour was made not from hard red spring wheat, which is typically ground into whole wheat flour in the US, but from a hard white winter wheat that lacked the tannins that makes most red, or traditional, whole wheat flour taste a bit bitter or astringent. White whole wheat flour does have everything else that you expect from whole wheat flour; all of the bran and germ are present, resulting in an almost identical nutritional profile but with a lighter color and sweeter taste. In baking, you can substitute white whole wheat flour for some or all of the all-purpose flour, and nobody will ever know that your baked goods are full of whole grains. Preheat the oven to 400°F. 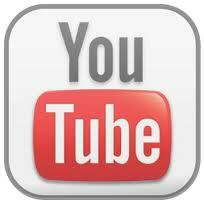 Line a rimmed baking sheet with a Silpat (silicone liner) or parchment paper, and set aside. In a food processor, blender or large bowl, mix the flour, baking powder, baking soda, cinnamon, salt and sugar; add the butter and pulse the processor on and off a few times until the mixture resembles a coarse meal. In a separate bowl blend the egg yolk, yogurt, and wine vinegar, and add to the processor along with the banana and raisins. Mix until all ingredients are just incorporated -- do not overmix. Use an ice cream scoop with a release (called a disher) to form 16 scones on the baking sheet, and bake for 18 minutes, or until lightly browned. Serve with butter and jam; or cool the scones to room temperature, wrap and freeze. I am hanging my head in shame because I've had this in my cupboard for ages, meaning to experiment with it. It's perfect for South Beach Dieters who don't want to eat white flour. Ok, adding this to my summer "to-do" list. Will save your post so I can link to it when I finally manage to bake something! I've never seen this here, but it might come across the water eventually... Your scones sound gorgeous! Kalyn, you must try this flour right away! Especially because it's South Beach-friendly, and because it is so delicious. Connie, we're so lucky to live close to King Arthur. Have you ever made the trip to their baking center in Vermont? It's fabulous. Thanks for the info. I tend to mix my wholewheat with white to lighten it up or use Spelt flour which i find to be more tender. I'll check out this white stuff! Lydia, I have heard about this flour from KA newsletter for the longest time, but don't have a lot of info about it. I don't think it's available in Australia though. Amazing! I can't wait to find some so I can try baking with it. Thanks for the tip and the terrific scone recipe. I've gotten some great products from King Arthur, but I didn't know about this one. I can't wait to try it. I wonder if it would translate into a cake. Perhaps muffins would be a better choice. Ah, experiments. THAT'S AMAZING!!! I'm going to have to investigate and see if I can find this in Eugene! So excited! What an interesting idea! I remember the King Arthue bags... I used them in the U.S.
Callipygia, this flour might just do the trick for you. It is lighter than regular whole wheat, all on its own. Anh, don't know if King Arthur will ship overseas. Worth checking their web site. Lynn, welcome to The Perfect Pantry. Is King Arthur available on the West Coast? If not, order by mail. I think bakers really appreciate this flour. Susan, this is a fairly recent addition to their product line. I think you can substitute in most any recipe where you would use all-purpose flour. I'd probably start by going 1/3 wheat and 2/3 AP flour, to see how the texture is in a cake. But then again, I'm not much of a baker, so I hope you'll do your own experimenting! Katie, welcome to The Perfect Pantry. I hope King Arthur products are in the markets out in Oregon. Katie, this is something to put on your shopping list for your next visit to the US! However, the French are such wonderful bakers... perhaps there's a similar product in your region? I have been meaning to buy this miraculous stuff! To be able to banish AP flour from one's pantry would be a dream come true :) Thanks for this informative post and the useful links, Lydia! The scones sound perfect for tea-time. If you have trouble finding King Arthur's flour, Bob's Red Mill also makes an organic white whole wheat flour. I'm a fellow bake-o-phobe, Lydia. Well, probably more disinterested than actually afraid. But this sounds like a great product when I do get around to it. And your scones sound like an excellent excuse to do so. I'm thinking maybe dried cranberries. Nupur, I agree -- getting more whole grain flour into my diet is definitely a goal, and on the rare occasions when I do bake, I'm trying to use this flour more often. Pauline, thanks for the info! Melissa, King Arthur's products are very consistent, but not in that "big manufacturing" way. I think you'll like this flour as much as their other flours. Isn't that great? The same fiber content with the more delicate approach of white flour. I'm going to track it down! All the KA brands are available in Southern California. I have used the White Whole Wheat and love it. I've never used this before. My hubby loves scones. Thanks for the recipe! TW, I think it will be easy to find in NYC. I'm really enthusiastic about it. Mazie, welcome to The Perfect Pantry! Glad to know KA has made it to the west coast. Veron, have fun experimenting with this flour! Oh yeah...I could use this to sneak whole wheat in on my hubby. Peabody, sshhhhhh, now my hubby will know what I'm up to. Just kidding, I'm more of a free love hippie than a telanovella vixen, so I'm totally open about sharing the King with you. It's amazing stuff, no? I love it when my twin obsessions of genetics and baking meet at a happy crux in the road. Ann, it's been a long time since I fought over a guy (do I even remember how?)... but King Arthur is worth fighting for! You make me laugh! Yes, this is a wonderful flour. What do you bake with it? I have been using Swany organic unbleached white whole wheat for about 5 years now (I get it at a local wholesale food place and only get King Arthur when they run out.) I love it and have found it the easiest way to get my husband and three whole-wheat-phobic kids to eat healthier. I would note that white whole wheat is slightly heavier than bleached white, though only slightly. It is only noticable in the texture of cookies and cakes--they ae slightly chewier and less crisp. It is especially noticiable in cookies that are supposed to be very light. Heather, thanks for letting us know about Swany; I'd not heard of it. I haven't used bleached flour in many years -- King Arthur all-purpose unbleached has been my go-to flour for the limited range of baking I do, and I find that the white whole wheat is a good substitute in recipes that aren't fussy. It is a great way to get kids (and unsuspecting husbands) to eat healthier! I use it for all my breads. I sub in a cup or two and it never seems to adversely affect the texture. Ann, I do the same, mixing in some white whole wheat with unbleached all-purpose. Amy, it's a wonderful way to get more whole grains into our diet without completely sacrificing the delicacy of white flour. Help, What am I doing wrong? I have tried two batches of muffins using whole wheat flour and both times they ended up as bird food! The muffins were very sticky and I could not even peel away the muffin paper. Both recipes were for carrot and zucchini muffins. I also used egg beaters but assume they can be used in baking. Thanks for any help. Beth, I'm going to refer you to better bakers than I, to answer your question. I think they are terrific and oh-so-knowledgeable!